Being a dog is hard, what with all the barking, sniffing, fetching, and wagging. Sometimes a dog just needs a break, you know? 1. This dog has decided to become a cat. 2. This doge found an easier way of life: potato! 3. This dog is now a hovercraft. 4. Just because you're a pug doesn't mean you can't also be a sheepdog. 5. This dog became a rug. That's cool, dog. You do you. 6. This dog is trying really hard to be a textbook. 7. This dog is fulfilling his dream of becoming a telephone repairman. 8. 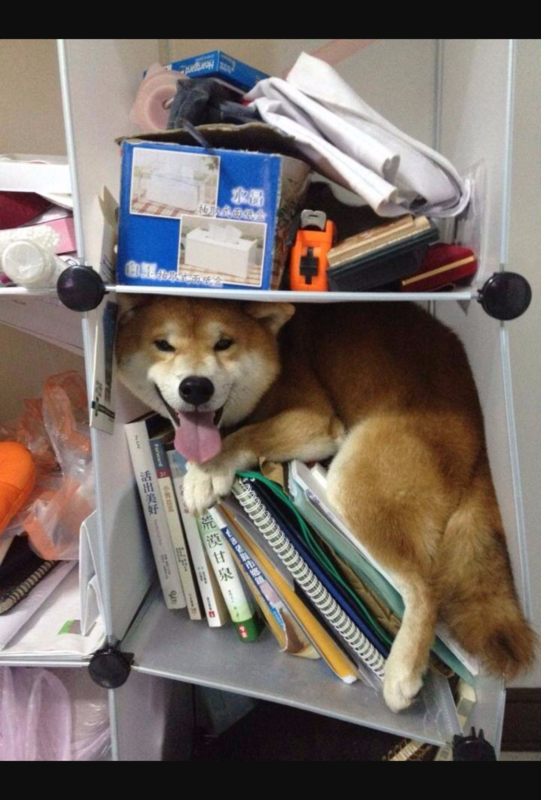 With a little more practice, this dog might become the best hide and seek player in the world. 9. Dog, you're missing the view. 10. Congratulations, dog! You're a raccoon! 11. This dog has forgotten some pretty basic dog stuff. That's okay, buddy! You tried. 12. This dog appears to be a Pokémon. 13. If this dog wants to be a couch cushion, who are we to say no? 14. This dog is becoming a pancake. Very, very, veeeery slowwwly. 15. This dog is now a pretzel. Good job, dog!